High winds and the sizzling temperatures reaching 36°C here in Los Gigantes over the weekend has made life very unpleasant. The wind had dropped by Sunday but the temperatures still remain very high for this time of the year. 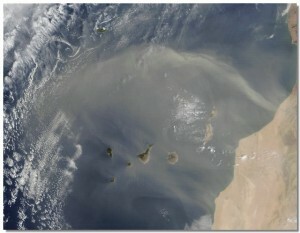 The blanket of dusty air still hangs over the Archipelago and could still take a day or two to disperse. Towns and villages at a higher altitude suffered even higher temperatures and an unbearable 45°C was reported at Guia de Isora. 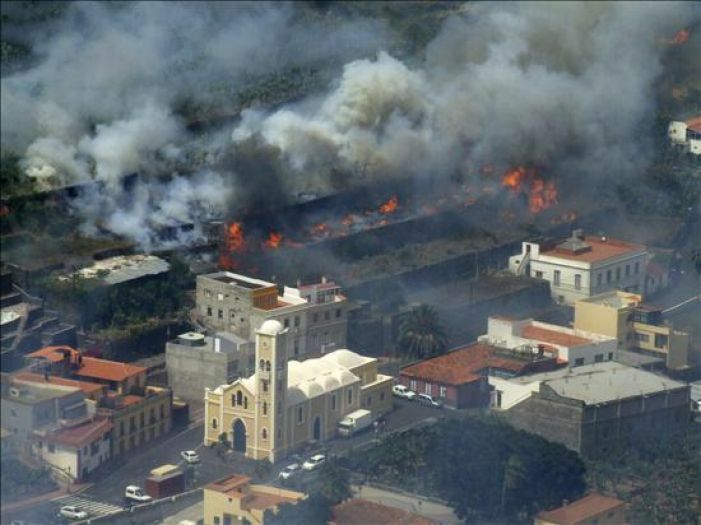 Reports have been coming in about a massive fire on La Gomera which started on Saturday. Fire crews were ferried from Tenerife and soldiers were flown in from the mainland to help fight the fires. Over 1000 locals have been evacuated in Hermigua and Vallehermoso. Homes have been destroyed and many animals have been killed in the blaze. 700 hectares of woodland and hillside have already been destroyed. Fire fighters have been using water-dropping aircraft and helicopters desperately trying to prevent the flames from reaching Garajonay National Park, which is listed by UNESCO as a world heritage site for its laurel forests and other ecological features. One of the fire fronts was believed to have been sparked by uncovered electric cables in windy weather. A man living in the locality of Hermigua was detained on charges of lighting another front by burning stubble. Canarian president Paulino Rivero is travelling to the island this morning to oversee the fire fighting operation.